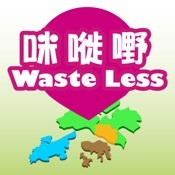 The Government of the Hong Kong Special Administrative Region (including its servants and agents) ("the Government") will record visits to the "Waste Less" ("the app") without collecting any personal identifiable information from users. Such general statistics are collected to compile statistical reports and diagnose problems with, or concerning, computer systems to help improve the app. To provide location-based service of collection points for recyclable items, the app would get user’s location and present data that is most relevant to the user by retrieving information from servers of the EPD or its agents and Google Maps. User’s locations would not be transmitted out from the app in other occasions. To allow user to gain access to the enquiry service of collection points for recyclable items, the app would call the related hotline when user presses dial link in the app. The app would not access any information in the address book of user’s smartphone. To provide timely update to users, the app will save on EPD's or its agents' data server user's preferences on receiving such information through Push Notification. No personal identifiable information from users would, however, be saved.